From the recently launched hiring platform Snaphunt to four-year-old mobile platform FastJobs, here are some of the newest participants of TechHR Singapore Startup program. From hiring, administration to training employees, HR professionals and organizations are continuously looking to strengthen and improve their current processes. As they grapple with challenges like increased skills gap and talent scarcity and changing demands of the multi-generational workforce, they have greater expectations to develop new talent techniques supported by digital platforms and employee analytics. The need for technological advancement in the industry has never been greater. Good news is that a variety of innovative tech startups with comprehensive software and intuitive applications are entering the market, rapidly. 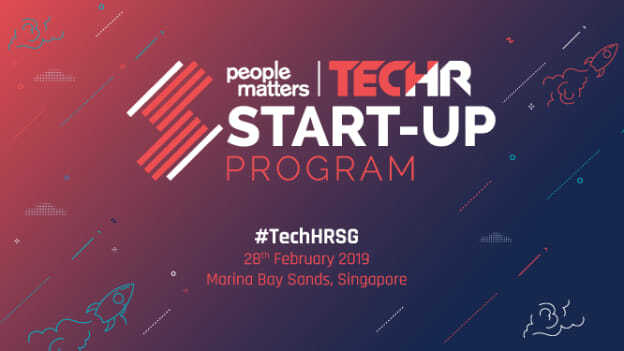 Some of the best ones from the startup and HR technology world will showcase their solutions and participate in the People Matters TechHR Conference to be held on 28th February 2019 at Marina Bay Sands. Startups will get a chance to meet investors one-2-one, present their solutions to HR professionals and business leaders at the conference and attend exclusive masterclasses aimed at scaling up. With a vision to be the world’s first choice in agency driven recruitment solutions, Ubidy was brought together by recruitment industry veterans, senior HR professionals and industry representatives from large enterprise employers around the world to create a premium exchange for professional agencies and employers to transact. 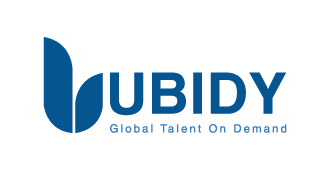 Realizing how critical it is for employers to use technology effectively in order to deliver on their workforce and recruitment plans, Ubidy provides recruitment management software to efficiently connect employers with some of the world’s leading recruitment agencies. It connects the two important stakeholders and helps employers to source passive and active talent in real time, through a premium cloud solution for medium to large enterprise businesses. Through Ubidy’s solution HR staff, Talent Acquisition Teams, Project Owners or Operations Managers can efficiently transact with professional agencies when required. Further, for employers who have a large demand or don’t have internal Talent Acquisition teams, Ubidy offers a Virtual Resource Process Outsource. Through Ubidy's technology, the team aims to bring a new level of agility to Agency driven Talent Acquisition so employers and agencies can work efficiently to find the best talent. The platform is built to enable permanent recruitment, contract and temporary labour hires. Headquartered in Singapore with operations in Asia, ConnectDott specializes in Business Applications, Software Distribution and Development in the Asia Pacific region. 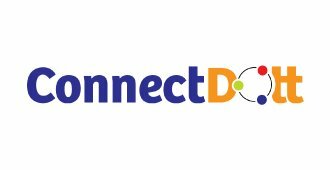 Founded and managed by experienced information technology professionals with a combined experience of more than 75 years, ConnectDott is focused on delivering solutions across multiple industry segments and expanding their reach in Asia through innovative partnerships. Currently, there main focus is on two verticals, Human Resources; where they represent People First – the next generation HR Platform that defines the future of Work and Marine Crew Management; where they bring forth a unique digital solution Ankaa to collect, store and process seafarer data. The team at Astarel believes that hiring should be enjoyable, easy and purposeful and this is why they designed Mathilda, an interview experience platform to help employers transform their candidate-hirer engagement and build a stellar employer brand. The interview platform is designed from a 'user-first' perspective, to create a groundbreaking and intuitive solution that simplifies and shortens the hiring process. The idea is to automate the interview process while keeping all the stakeholders including the candidates, happy. Astarel’s solution has been built by combining modern technology with the values of old school hiring ethos. 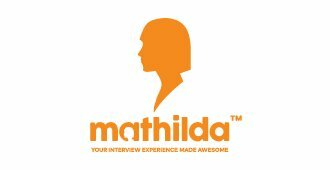 With Mathilda, the team brings forth creative solutions through design thinking which can bring back the human warmth of the traditional recruitment process. Some of the key features of the solution include Self-Service Timezone Scheduling, Smart Feedback and Hiring Leaderboard. Through these features of Astarel’s solution aims to help employers in monitoring the entire hiring process and also help them in creating an engaging experience for the candidates. Started as an incubator project by Singapore Press Holdings (SPH), the FastJobs mobile platform was fully developed in-house by a team of intra-preneurs and digital innovators. Officially launched in April 2015, FastJobs has since been transforming the way people are connected to jobs, with over 1 million mobile application downloads, across the region. In 2017, FastJobs app rolled out two new features to better match employers and job seekers for blue-collar roles. One was a chat system that would enable employers to contact job seekers directly and would be able to field a number of automated questions to potential candidates. 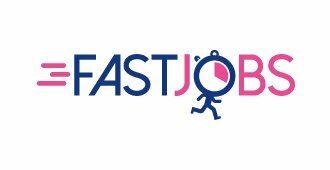 FastJob’s clients include brands like NTUC, Watsons, Miniso, Uniqlo, Japan Foods Holding, Don Don Donki, Pizza Hut, KFC, Yoshinoya, Deliveroo, Foodpanda, Uber, Grab, Marina Bay Sands and Resorts World Sentosa. Last year in August, FastJobs also launched its first kiosk at Radin Mas Community Club as part of efforts to connect older workers with job opportunities near their homes. To use the kiosk, residents select a job they are interested in, SMS its job code to the mobile number provided and answer questions from employers sent by an SMS bot. Employers can then contact the applicants directly. Currently operational in Singapore, Malaysia and Philippines, the job platforms will soon explore to the other Southeast Asia region. 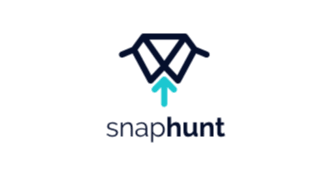 Recently gone live in Singapore, Snaphunt is an intelligent hiring platform that matches talent to roles for a skill and culture fit and helps firms in hiring white-collar talent across multiple specialist. Their clients range from large multinationals and leading Singapore firms to some public sector enterprises and startups. Snaphunt’s platform aims to make recruiting faster, more convenient and more accurate for everyone involved. It helps recruiters and managers get rid of the CV blackhole and brings more transparency to the process for job seekers. On the other hand, for employers, it drastically reduces manual tasks involved in recruiting while also reducing hiring costs by more than 90% as compared to agency recruiters. Snaphunt also acts like a job search concierge for job seekers. After they have signed up and completed their profile, Snaphunt proposes them jobs that match their profile and they can apply or decline with a simple click and also get real-time updates on the status of their applications. Some of the other features of the platform include generating a job advertisement in just a few clicks, receiving relevant screened applications, conducting pre-recorded video interviews and then inviting the final shortlist for face to face interviews. Meet these and many more such startups at People Matters TechHR Singapore on 28th February 2019 at Marina Bay Sands, Singapore. Click here to register.